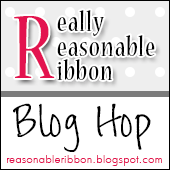 Welcome to the Really Reasonable Ribbon May Blog Hop. 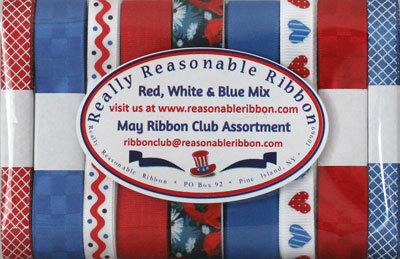 This month the Really Reasonable Ribbon Monthly Ribbon Club Assortment is a bold Patriotic themed red, white and blue collection of ribbon. The May Ribbon Club Assortment contains 9 styles and a total of 18 yards of ribbon. 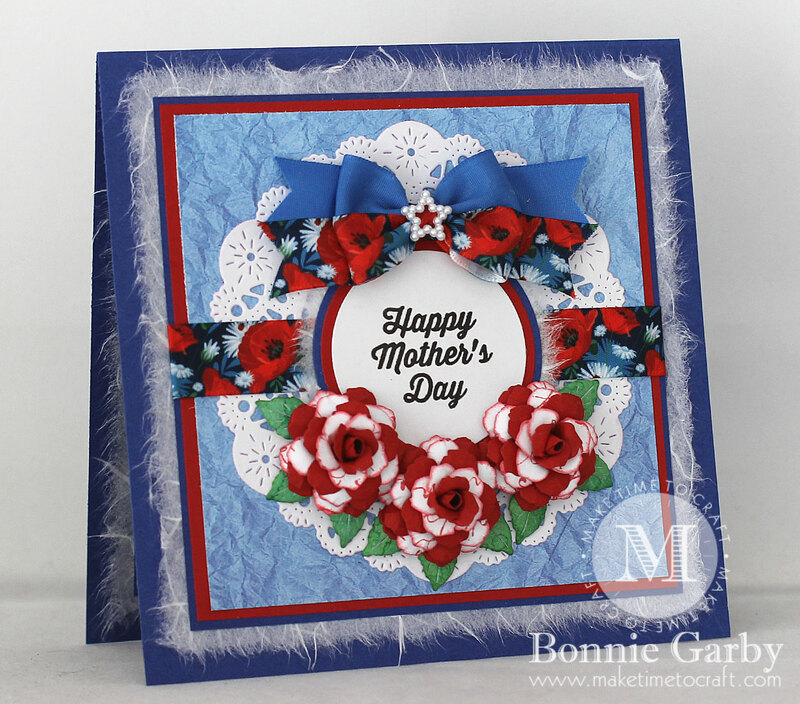 Each monthly assortment is a color or holiday themed ribbon collection. What a fun way to build your ribbon stash and try new ribbon styles. This month I created a pretty Mother’s Day card. While the assortment is Patriotic themed, I just love this bold color combination for anything summery. While it’s not quite summer yet, I think it’s close enough! 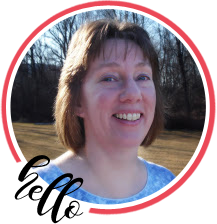 My card is topped off with a pretty bi-color bow created on my Bow-it-All V3.0 Tool using two of the ribbons from the May Ribbon Club Assortment from Really Reasonable Ribbon and the center was topped with a Pearl Star Embellishment. I also ran two ribbons from the assortment across the center of the card behind the sentiment. I love those red and white roses! So pretty, Bonnie. Hope the hop has gone off without any problems. I’m having fun peeking at everything. 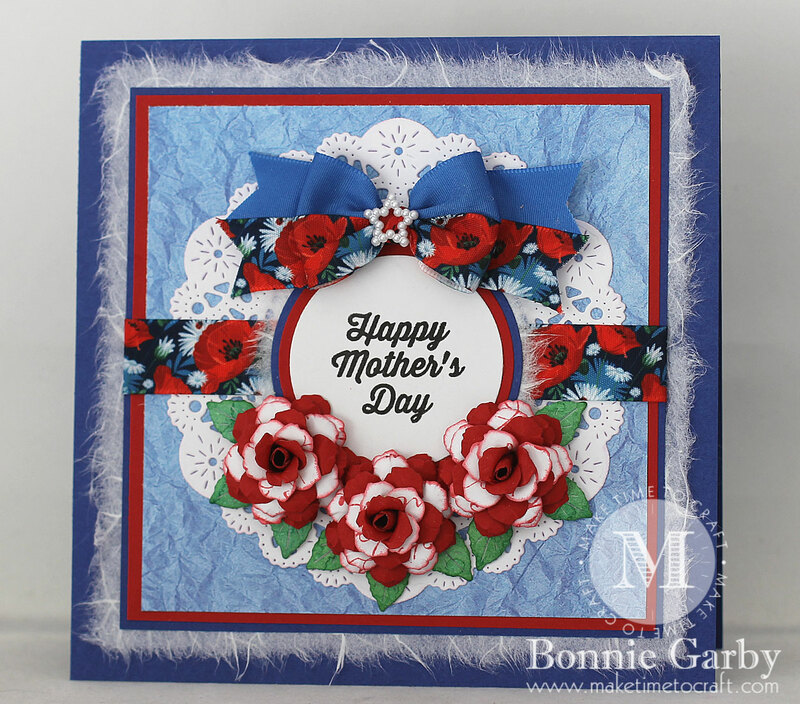 Love the floral print ribbon on this lovely card! Interesting roses! Well done! Those multi-toned flowers are beautiful. What an awesome card! So very beautiful and a most creative and well designed wreath. So pretty with the layers, flowers and gorgeous ribbon. 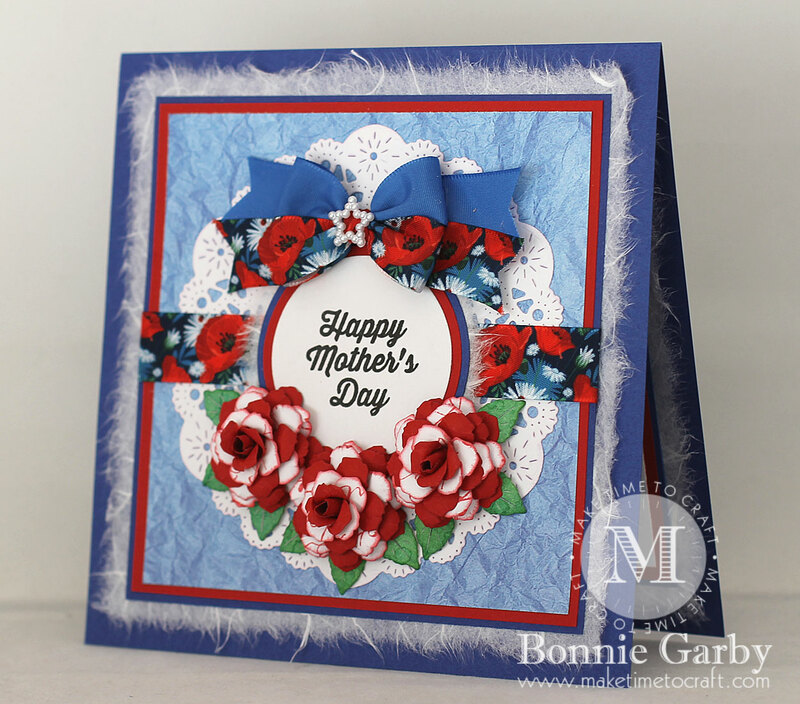 Such a beautiful use of this ribbon club assortment! That bow is just ooh la la! Hope you had a really wonderful Mother’s Day! Very pretty card and I love using mulberry paper in my layering. Oh, your flowers are so beautiful paired with the Poppy blossoms ribbon!! 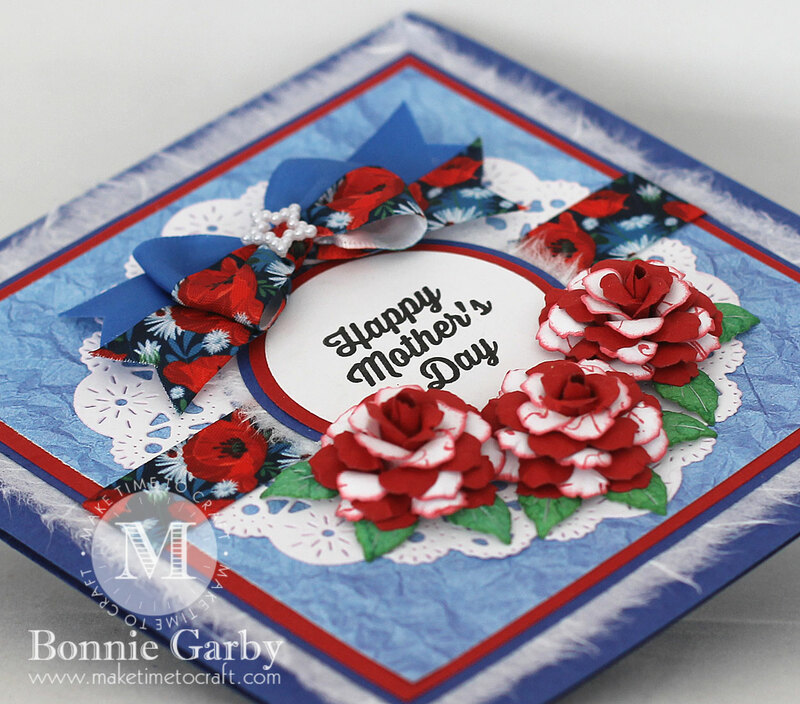 Gorgeous patriotic card! Gorgeous, as always!! Love, love, love that gorgeous poppy ribbon!! Thanks for playing with The House That Stamps Built. Gorgeous flowers, and the color scheme totally works for your card! Terrific card and photographed beautifully. Bonnie this card is stunning! I would have never thought of using this color palette for a Mother’s Day card but it sure works. You are amazing you have such an eye for colors and textures. Thank you for showing us that we can use our patriotic stash more than just three or so times a year tfs.